VTOS seeks to revolutonize the way content is generated and shared through the ethereum blockchain and WebTorrent powered creation platform. VTOS is seeking to completely change the way video and blog content is made by bringing the power of decentralization to benefit content creators and the general social media community. VTOS utilizes the Ethereum ecosystem as its primary platform for transaction processing. By encrypting communications on the blockchain platform, and allowing nodes to communicate directly, VTOS will function as a decentralized platform for exchange of videos, and content. Other contributors in terms of comments, likes and shares also earn rewards. Through decentralization, content creators will have power and control over how their content is used by others within the network. 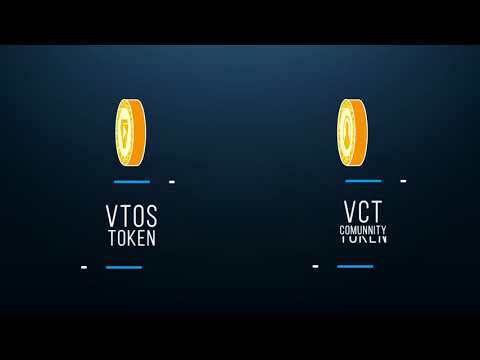 We have introduced VCT as a currency to power the VTOS platform. Users progress to different levels thus gaining more rewards over time. Additionally, the VTOS platform will have masternodes thus enabling users to rent out their nodes and earn a yearly percentage of rewards. The VTOS platform will provide technology which will offer a hybrid P2P and the traditional HTTP CDN video streaming solution. VTOS platform will harness the power of the widely distributed networks so as to overcome the challenge of delivering high quality Videos at scale. Through intelligently multy sourcing content delivery, VTOS will offer the most widely available and resilient Content delivery solutions. I really need a good competitive analysis here with previous ico projects in the WP as in terms of this ICO the idea looks already old-fashioned. The WP also lacks numbers as it comes to business planning approach and altogether is too short (in terms of content) and looks unfinished. VTOS account creation •	Alpha of VTOS platform •	Likes and dislikes for videos and blog •	Moderation and content report •	Friends and Followers Q3 2018 •	Alpha of ios and android •	Web player •	CDN and API •	Masternodes Q4 2018 • Level system •	Webmining •	VCT Ecosystem •	VTOS platform monetization. VTOS Host support •	Subscriptions and Donations •	Notifications •	Beta of VTOS platform. Ad marketplace •	App Market •	P2P messages •	Avatar System •	Masternodes monetization. VTOS video platform full release • Live stream •	Live chat 2020 •	Exchanger •	Create your own VTOS network •	Company Outsourcing.